The revenue of China’s food sector in the second quarter of 2018 dropped by 24.8% y/y to RMB 469.4bn, mainly due to decreased prices of meat and refined edible vegetable oil. Meat prices in Q2 2018 slid by 6.6% y/y because of a decline in pork prices. In H1 2018, the price of pork fell by 12.5% y/y due to oversupply in the segment. Refined edible vegetable oil price in the first half of 2018 was down by 1% y/y. 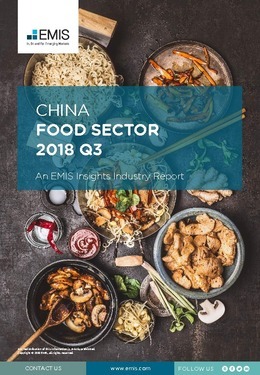 The total profit of the food sector in Q2 2018 plummeted by 30.1% y/y to RMB 35.5bn, due to decreased sales and prices. In Q2 2018, most food production saw a significant decline. The production of fresh and refrigerated meat in this period slumped by 35.8% y/y to 5.8mn tonnes due to growing inventory. The output of refined edible vegetable oil in Q2 2018 plunged by 32.3% y/y to 12.2mn tonnes, due to decreased production of oil bearing crops.